In the history of our civil rights movement, no day brings together the opposing forces like June 11, 1963. That morning was the confrontation between Deputy U.S. Attorney General Nicholas Katzenback and Governor George Wallace at the University of Alabama. With ardent resolve, the commitment to equal opportunity was forced upon the state of Alabama as the first black students entered the university. In a jarring cinematographic moment, the film shows President Kennedy saying these words on the television as Beckwith prepares to shoot Medgar Evers upon his midnight return to his family’s home. As the shots ring out from the scoped rifle and the bullet passes through his body and into the family’s home, the wound to the family and the nation has occurred. The film moves 26 years later to 1989. 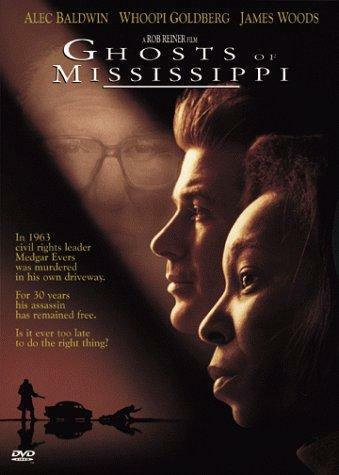 Due to the persistent efforts of Evers’ widow, Myrlie (Whoopi Goldberg), the political pressure is put on the new district attorney to reopen the case and bring Beckwith to justice. Although the evidence has been lost, the DA puts a capable young deputy, Bobby Delaughter (Alec Baldwin), on the case. Delaughter at first is uninterested. Events of a quarter century ago seem of little importance to his life. But then he experiences the stench of the wound. This question is the beginning of our healing. When we place our fellow human beings within the context of our own experiences of love of family, children and dreams, we remove the dehumanizing nature of racist distinctions. Every person, of every race, deserves to be treated with dignity and respect, allowed to live their lives in peace. When the lives of some are devalued by the actions of others, then everyone everywhere is wounded. We experience with Delaughter his struggles with the dynamics of the case and the building of trust with Evers’ widow. This is the second part of our healing: Trusting one another. In frustrating authenticity, the two worlds of Myrlie Evers and Bobby Delaughter begin to meet. Such a claim is a cancer in the society in which we live. That people may be prejudiced or perpetrate evil is a sad fact of humanity, but to claim that no one can hold them accountable is a spiritual and social lie which must be challenged. In the end, although Delaughter is able to bring Beckwith to justice, the film allows us to recognize that this is not in fact the final healing of racism’s pervasive wound. The challenge of “Ghosts” is to each one of us: True justice will come from the loving actions that we take, not just the positions in which we believe. This kind of change calls for sacrifices from us all. Posted on May 25, 2011 by Cinema In Focus and filed under 3 STARS, CHALLENGING and tagged 3 STARS CHALLENGING 1996 PG-13 RATED DRAMA HISTORY SPIRITUAL SOCIAL RESPONSIBILITY.